We won’t cover the importance of gamification here, but simply put, gamification is applying game characteristics (think point/badge system or competition between players) to your product or course in order to encourage more engagement from your students or members. GamiPress has a unique approach in giving you three main options for gamifying your site. They are all described in detail with examples on GamiPress’ website. That is just a brief overview of how GamiPress works. You can use all the options individually or not use one at all. 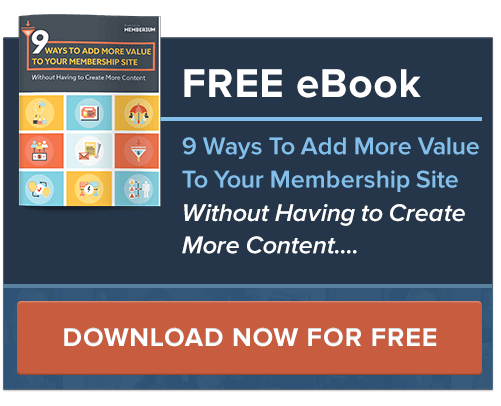 On top of this, they have integrations with a lot of popular plugins which you can view here. 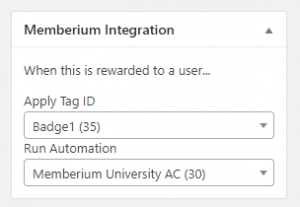 Memberium’s integration with GamiPress works by allowing you to run an automation or apply a tag in ActiveCampaign when someone is awarded an achievement or rank. 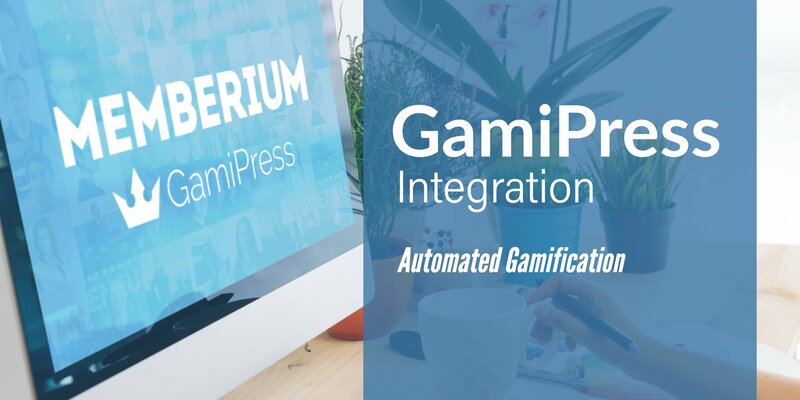 Rather than us having to go through and make integrations for each plugin to make this work, you can use this integration with any plugin GamiPress has an addon for. This includes all their current add-ons and any future add-ons so long as they award an achievement or rank. Here you can see the integration box Memberium provides on the acheivement and rank type awards. You can run an automation or apply a tag when the acheivement or rank is awarded. If you have any questions about the GamiPress integration, please feel free to contact support.